Squires Kitchen has teamed up with award-winning cake designer Helen Mansey of Bellissimo Cakes to bring you the innovative Pipe & Press pattern embosser. Made from FDA approved plastic and easy to use, the Bellissimo Pipe & Press tool allows you to create perfect patterns on cakes and biscuits. 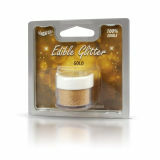 Get professional results and excellent consistency time after time with SK Royal Icing. Choose from the 12 design templates per pack which suit many different occasions, or design your own. 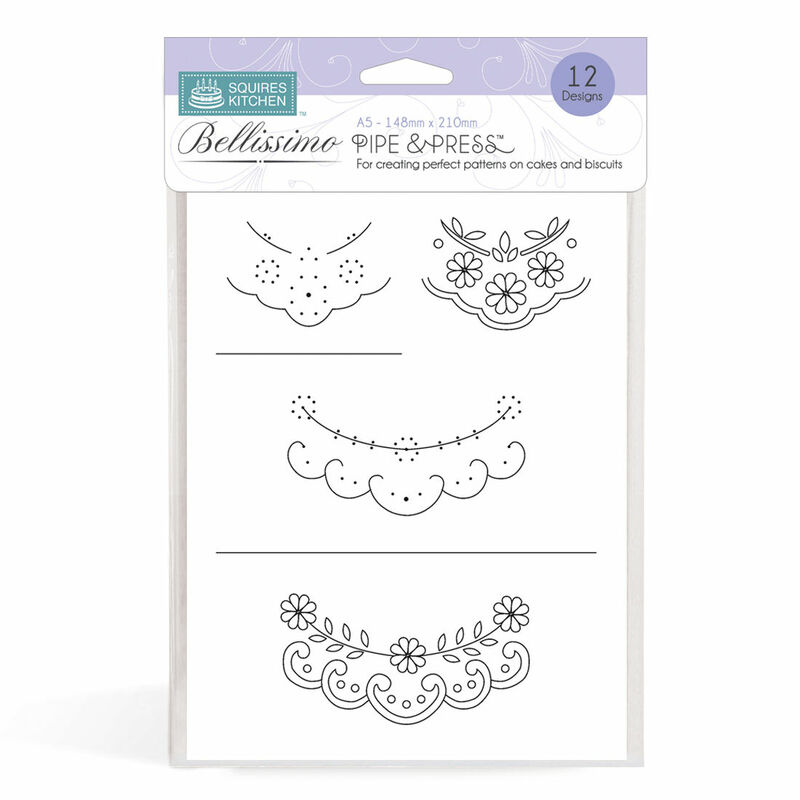 Using the template as a guide, simply pipe royal icing onto the Pipe & Press to make your own bespoke food-safe embosser for decorating cakes, biscuits and more. The Pipe & Press is a clean and easy way to transfer a design neatly onto a cake, and is ideal for spacing designs evenly around the sides. 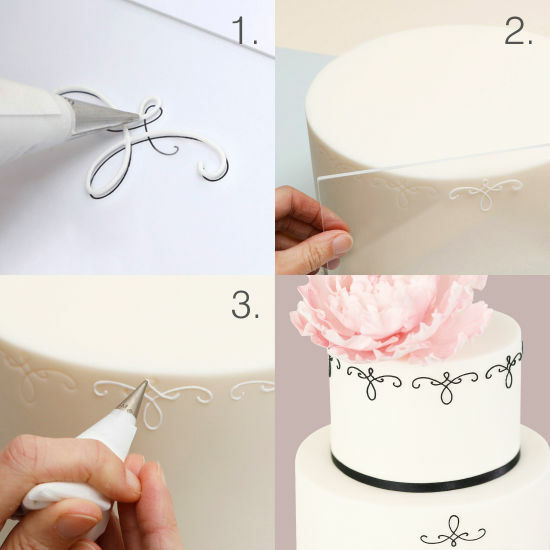 This clever cake tool will give you more confidence when decorating. 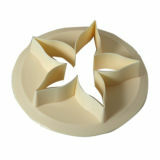 Using the Pipe & Press means you can get the design perfect before piping onto a cake: no more messy mistakes. Decorating to a professional standard is now easier than ever with Pipe & Press. Wash in warm soapy water before use. Use a piping nozzle on the Pipe & Press which is one size smaller than the nozzle for the finished decoration. Lay the Pipe & Press over the template, making sure the design is reversed. Line it up with the base if necessary. Pipe the design onto the Pipe & Press with royal icing. Leave to set overnight. Cover the cake or biscuit with sugarpaste and immediately press the piped design into the surface while it is still soft. Lightly rub with a smoother to remove any pillowing. Leave to firm overnight. Pipe over the imprinted design with royal icing. 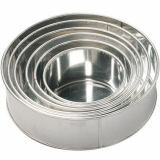 This item has worked professional every time the fact that you just clean and reuse is a bonus. ..... also bought extra ones for making a card to match little cake or cookies... exchange royal icing with glue then emboss dampened professional paper .